Meow. What’s that, you want to be a unicorn? Purrrr. 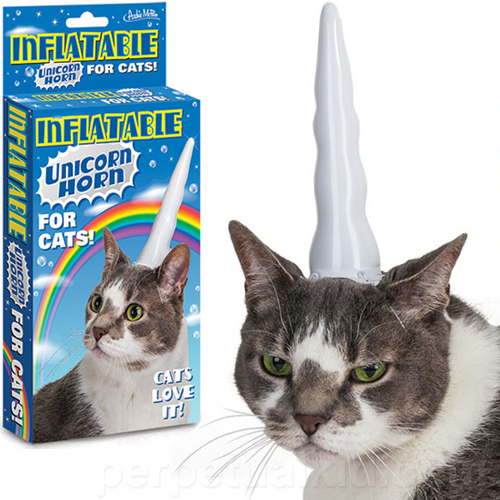 Ok, no problem then, I’ll just put this Inflatable Unicorn Horn for Cats directly on your head and turn you into a unicat. Why yes, I am aware that you will destroy this thing with your claws within the first ten seconds of putting it on your head. Also you don’t look anything like a unicorn. Carry on, nothing to see here.